A prisoner whose brother was shot dead in a Doncaster pub is ‘heartbroken’ at fearing that he may miss his brother’s funeral. Charlie Bell, aged 30, who is serving a four year sentence HMP Whealstun, near Wetherby, has applied to the Prison Service for special permission to attend his 21-year-old brother Tom’s funeral in Doncaster later this month. A decision has not yet been made. Requests for escorted visits by prisoners are subject to a strict risk assessment and decisions are made by Governors on a case by case basis. Consideration is given to the likely effect on the victims of their crimes, the safety of prison staff and whether there is any threat posed to the public. Charlie hopes to help carry his brother’s coffin into church before he is laid to rest after a service at St Peter-in-Chains on Chequer Road, Doncaster town centre, on Monday, February 18. His mum Tracy Langley, who had eight children before Tom’s death in a shooting at the Maple Tree pub in Balby last month, said Charlie is heartbroken at the thought that he may miss the service. “He is heartbroken, absolutely devastated. All the family is,” she said. Tracy, who also has eight grandchildren, has contacted Doncaster MP, Rosie Winterton, and plans to ask the Prison Service to grant him permission to attend. “I don’t agree with anything that Charlie did to land himself in prison but he is a model prisoner with a trusted job in there and he takes the new ones under his wing to look after them. He has never tried to escape before and has no interest in that, all he wants is to attend his brother’s funeral. She said Tom and Charlie were ‘very close’ and had plans to launch a business together. “Charlie and Tom were really close, friends as well as brothers. They were going to set up a boxing gym together after Charlie’s release, aimed at keeping kids off the streets,” she said. “Charlie used to be a boxer until he had a bad motorbike accident and Tom was doing really well and everyone hoped he was going to go all the way with it. Charlie, who has two-year-old twin sons and two stepsons, aged eight and 11, is due to be released from prison in September. His mum said she is having to stay strong for the rest of her family in the wake of Tom’s death. “You find an inner strength, you have to for your other kids, you just have to keep going," she said. 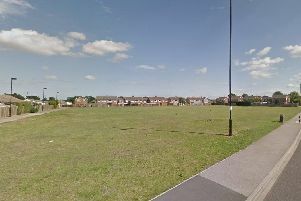 Three others – two men, aged 37 and 33, and a 21-year-old woman – were arrested on suspicion of assisting an offender before being released after questioning while enquiries continue. Anyone with information on the murder should call South Yorkshire Police on 101 and quote incident 796 of January 17.